For a weekend of adventure and exploring Bangalore's backyard, check out Adventure Nest. The group will have you pitching tents on the rocky terrains of Ramnagara, trekking up Kodachadri and river rafting in Dandeli. A weekend getaway that involves you being an adrenaline junkie and putting out your adventurous side, we give you Adventure Nest. The outdoor adventure and tours group will let you channel your wild side with their day trips, trekking expeditions, camping activities, and adventure sport such as river rafting. If it's nature, wildlife, and the mountains that you like, sign up for the day trips and weekend camping trips to locations such as Coorg, Chikmagalur, Wayanad, and Kodachadri. For adrenaline junkies, put on your trekking shoes and trek up the famous Ramnagara or Asia's largest monolith, Savandurga. 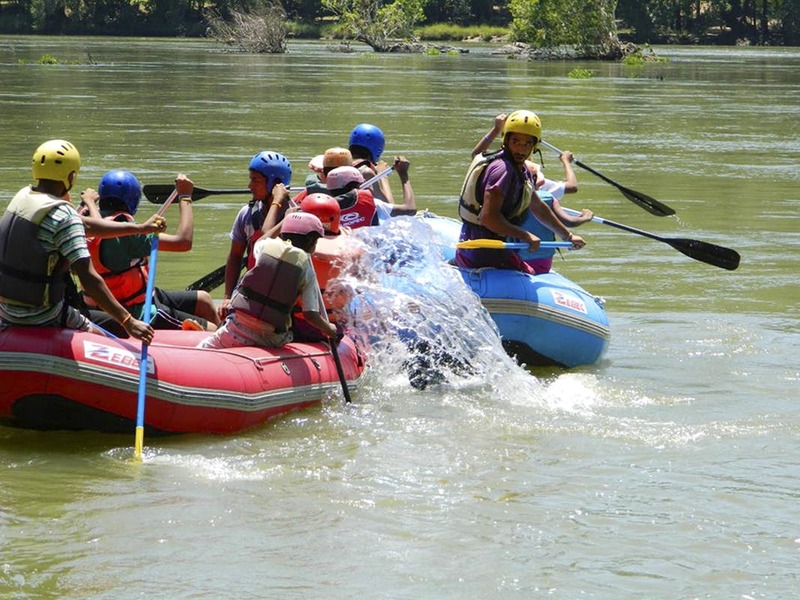 Or you could sign up for either Bheemeshwari or the Dandeli day outing from Bangalore. At Bheemeshwari, you will be river boating and jumaring to your heart's content, while at Dandeli, it's battling the rapids -- river rafting. There's rappelling too and you'll be rappelling over Kali River, and it's something worth doing over and over again. They also conduct paintball, kayaking, and rock climbing activities for large groups.